Our client, a male age 14, but 12 when the alleged acts occurred, was charged with a violation of Penal Code § 288 (Felony Lewd or Lascivious Acts) for engaging in inappropriate sexual contact with a six year old female he was allegedly asked to babysit. The female was not physically injured, but the alleged acts were so graphic, the female may have sustained emotional injuries. The mother of the young girl apparently learned of the alleged incident from her daughter and immediately reported it to police. Our client’s family knew the family of the alleged victim and recognized that the mother may have had an ulterior motive in making the allegation, as she was mad at the family over a trivial event in the neighborhood involving a parking dispute. Why our client recognized this parking dispute as the catalyst to the sexual conduct allegation, we cautioned the client and his father from discussing this with the detective. This was precisely the type of issue an attorney should only mention after detective appreciates the meritless nature of the accuser and her allegations. Although it was unclear whether the District Attorney intended to charge our client as an adult, it was possible that if found guilty, he faced a maximum of eight years in prison and registration for life as a sexual offender. In other words, this was a very serious accusation and needed to be handled with care. 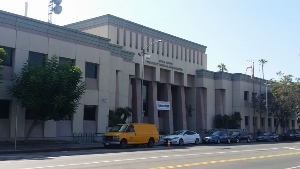 Our client retained Greg Hill & Associates after detectives asked him to undergo additional questioning at the 77th Street Station on Broadway in Los Angeles, which our office recognized as an invitation for the client to only really confirm details from the accuser and make the prosecution’s case better. In such cases of “he said, she said,” detectives are naturally skeptical, but recognize they must diligently investigate to protect the safety of the public in case an adolescent child molester is truly to blame. In our experience, this type of invitation by the police to speak and to hang oneself must be handled carefully. While one could simply advise the detective that our client refuses to meet, we find this can be seen as an admission of guilt. This approach can also anger the detective tremendously and cause his to retaliate by trying to meet our client at school or at home, which can be very traumatic. We therefore met with the client extensively to find out what our client had already told police and convinced the client to simply stay silent, although he strongly wanted to explain the whole situation to persuade the police he was innocent. We strongly discouraged this type of approach, as we find that the police often do not hear things as our clients trust they will. We then met with detectives. On behalf of the client and his father, Greg advised the detectives that while our clients respected law enforcement, they also were going to follow the advice of counsel to remain silent as provided by the Fifth Amendment. The fourteen year old client therefore politely refused to answer any questions. The case was then dropped.